There's no better place to celebrate the turning of a new year than Edinburgh! Our magnificent city comes alive on Hogmanay (New Year's Eve) with fireworks, concerts, ceilidhs and shows. It's a magical experience that should be on everyone's bucket list. So today, we're looking at what's on for Hogmanay in Edinburgh. If you're staying with us for Hogmanay, remember these events are very popular, so be sure to get your tickets in advance. 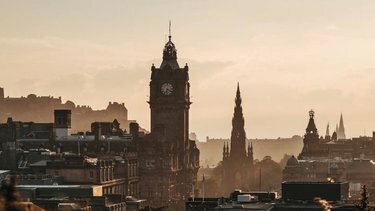 What's on for Hogmanay in Edinburgh 2018/19? This year's official Edinburgh's Hogmanay celebrations feature lots of exciting events. Beginning with the bewitching Torchlight Procession on 30th December. Then on the big night itself, choose from the Street Party, Concert in the Gardens, Candlelit Concert and Ceilidh under the Castle. There are also lots of family events on offer for those with young children, including Bairns Afore, First Footers Family Ceilidh and Baby Loves Disco Hogmanay. And if you want to continue to party into New Year's Day, there are several concerts taking place. Not forgetting the traditional icy dip in the Firth of Forth, which we call the Loony Dook. Check the full Edinburgh's Hogmanay programme here. Several venues around Edinburgh are hosting their own lively Hogmanay shindigs. This year, Ghillie Dhu, Counting House, Assembly Rooms and Brewhemia will all be celebrating in style. If you're looking for a smaller celebration, many hotels, restaurants and pubs will be serving up special Hogmanay menus. And there will be a party atmosphere throughout the whole city! Wherever you are at midnight, make sure you have a view of Edinburgh Castle. Because, as the clock strikes 12, the sky above the castle will erupt in a spectacular fireworks display. The perfect way welcome in the year 2019! We hope this guide to what's on for Hogmanay in Edinburgh 2018/19 will help you to plan the perfect New Years' celebration. 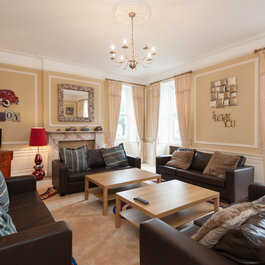 And if you're still looking for Edinburgh Hogmanay accommodation, we can help you there too! So, check out our beautiful self-catering holiday homes and please get in touch if you have any questions. 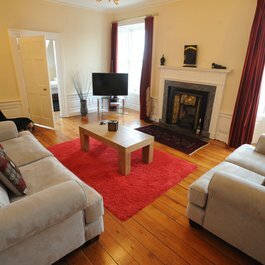 At Lets Get Local, we have a wide selection of large group accommodation in Edinburgh, with properties sleeping up to 15 people. Edinburgh celebrates Christmas in spectacular style with six weeks of festive entertainment. There's an enormous amount to see throughout the city. While staying with us in Edinburgh, be sure to visit Edinburgh Castle.